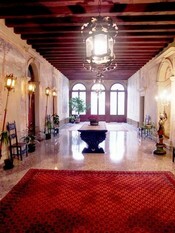 Villa Gradenigo is a beautiful example of a villa of the 16th century. Its noble origins have not been recognized for many years, since when, at the beginning of the 19th century, the propriety was divided into many different flats. Luckily, in the 60s', an association which took care of such beautiful palaces bought it and made it restored. It was completely frescoed on its main facades as well as on its inside by a worldwide known painter such as Benedetto Caliari and some unidentified Paduan artists. 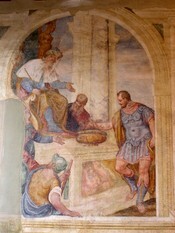 Unfortunately, today only the frescoes on the ground and first floors can be admired. Their great quality as long as the fabulous flight of stairs make the visit wort it.